Hi Consumption posted an article called “The 10 Best Desktop Speakers Available” and Paradigm’s MilleniaOne CT made the cut! "We know that most people don’t have $1,200 bucks lying around to spend on speakers, but no list of the true top-of-the-line desktop speakers would be complete without including the MilleniaOne CT. They are a component system that includes a 2.1-channel subwoofer that can hit deep lows that will have your neighbors banging on your door while the small 4-inch mid-range and 1-inch tweeters can also make Mozart’s Magic Flute truly come alive. They’re expensive, but they are also the last computer speakers you will likely ever need, no matter what your listening habits are." Click here! 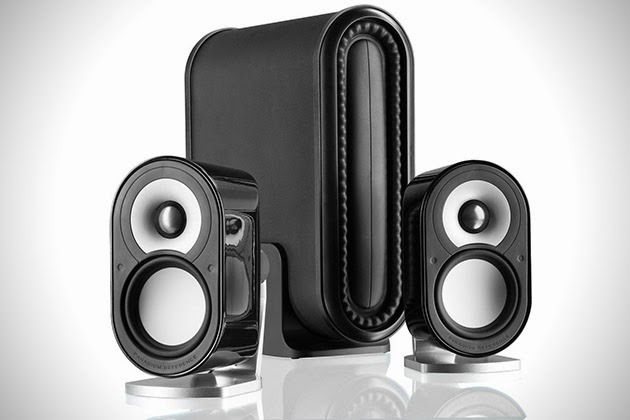 to see all 10 Best Desktop Speakers Available. Click here! for more info on the MilleniaOne CT or to buy now.